Happy Advent season! 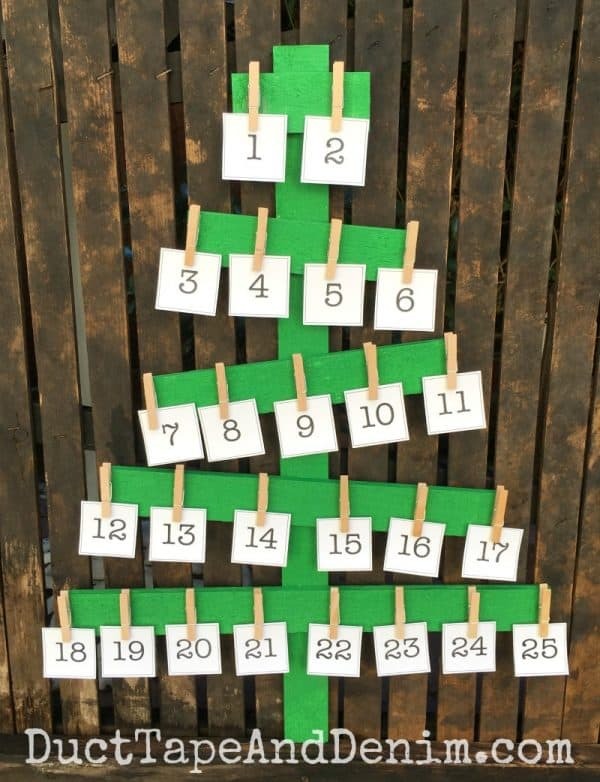 I’ve already shared several Advent calendars that we’ve done in the past. 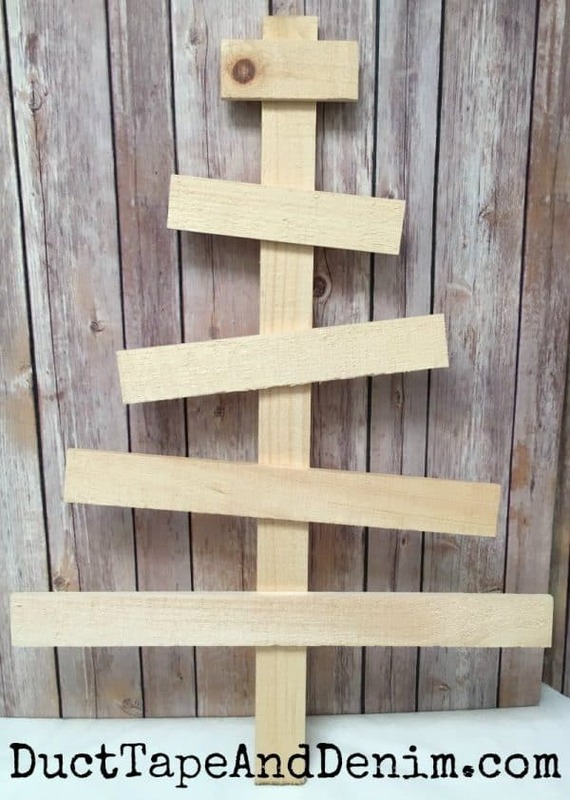 Today I created a brand new one with a premade wood Christmas tree. Don’t worry if you don’t have any building skills or tools. This tree was already made. Here’s what the tree looked like before I started. I didn’t even sand it. Just wiped off any loose pieces or dust. Then I gave it a couple of coats of acrylic paint. While the paint was drying I printed and cut apart the number cards. I wrote the Scriptures we used for Advent on the back. You could use these, your own, or write different family activities on the back of each card. The clothes pins are just hot glued on. You could also use E6000 or wood glue. 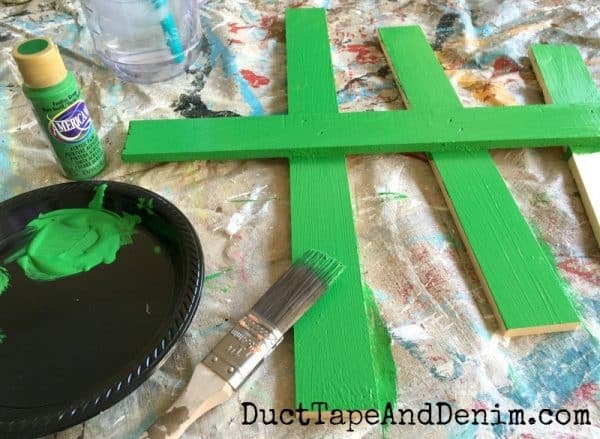 It would just take longer for the glue to dry. 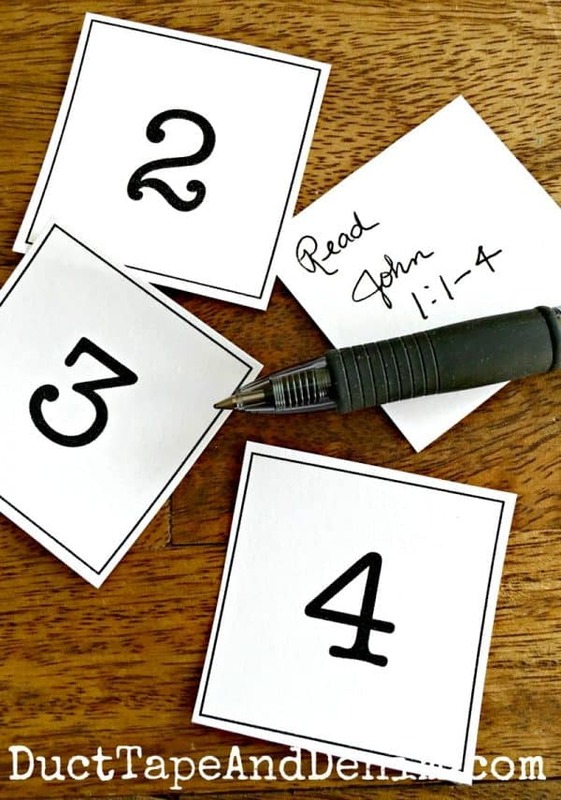 Now we can pull off a card every day, starting December 1, and read the Scripture to prepare our hearts for Christmas! Here, the tree is leaning against the grape drying rack I bought at Junk Bonanza, Portland! Thanks for reading my project! 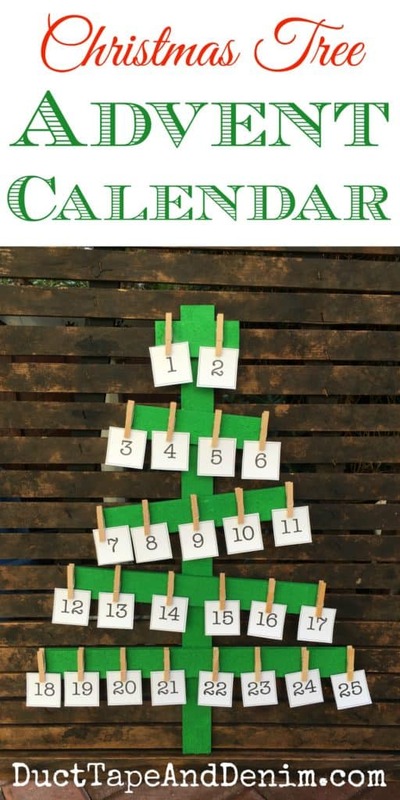 Leave a comment and let me know if you used an Advent calendar this year.